Franke Fuji Kitchen Sink Mixer. 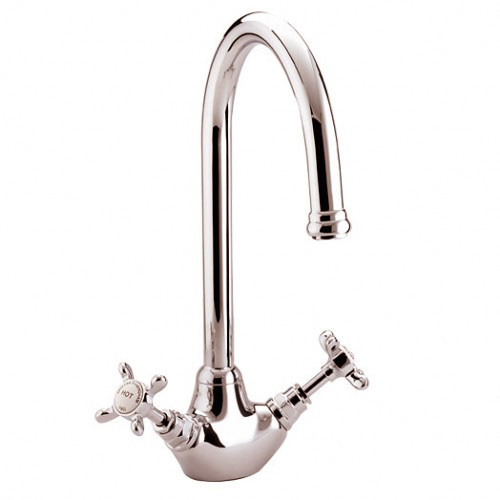 Franke have a great range of kitchen sink mixers and taps available like the Fugi sink mixer here designed for clean simple function, it has a ceramic cartridge for one handed operation and smooth hot/cold and flow action. Available in Chrome and Silk Steel. 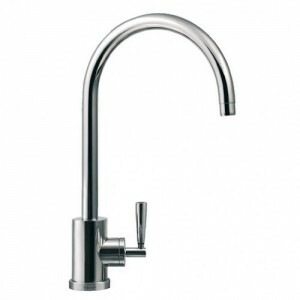 What Franke offer is well priced and reliable to see the complete range of Franke taps and mixers in all finishes at great prices CLICK HERE. 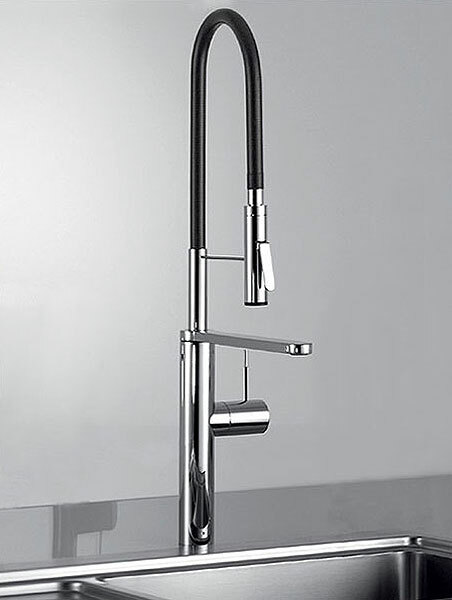 When it comes to the best quality in kitchen sink mixers you can not look any further than stainless steel as a material to build them from, it is a solid material not like brushed steel which is a thin coating that is laid ontop of the brass body of a tap, If stainless steel is ever damaged or tarnished it can simply be polished out, it also has very good hygine properties which is whty they are used in the medical industry. 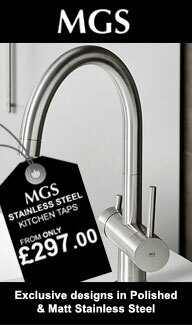 Tapstore have launched a deal to bring in high quality sink taps and mixers into th UK from MGS one of the very few manufacturers that make stainless steel products. The designs are breath taking and the engineering is of the highest quality so if you want the most used product in your home to last then you need to look no further than a MGS sink mixer. 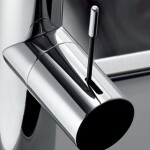 They are available in both polished and satin (brushed) stainless steel. With prices starting from just £297.00. To View the whole range now available click here. 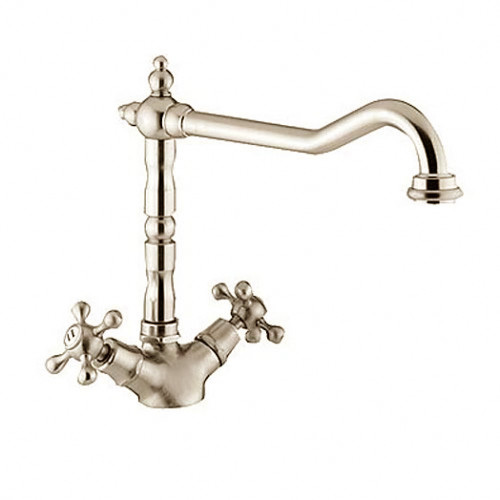 You can save money on buying Bristan kitchen taps from the new dedicated Bristan website ran by Tapstore the kitchen tap specialist. Kitchen sink mixers like the Echo (pictured left) are available at a massive 35% off of retail prices that’s just £66.00 with a price match promise and a 30 day money back guarantee. 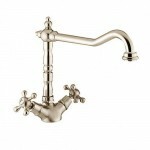 Other ranges worth a mention are the Monza a two handled low pressure kitchen sink mixer for only £110.00 and the Prism single lever mono bloc sink mixer for just £109.00. 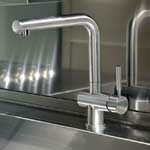 To visit the new Bristan Kitchen tap website here. The Rettangolo tall sink mixer by Gessi is sharp and clean and to the point in its design, it has a unique 130° swivel action whilst the control lever and base ring remain stationary. 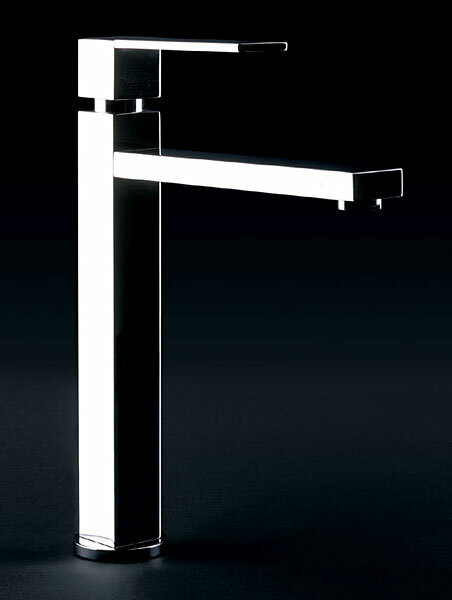 Gessi have long been at the forefront of designer taps for both the kitchen and bathroom market the Italian designed products are made to the highest quality. 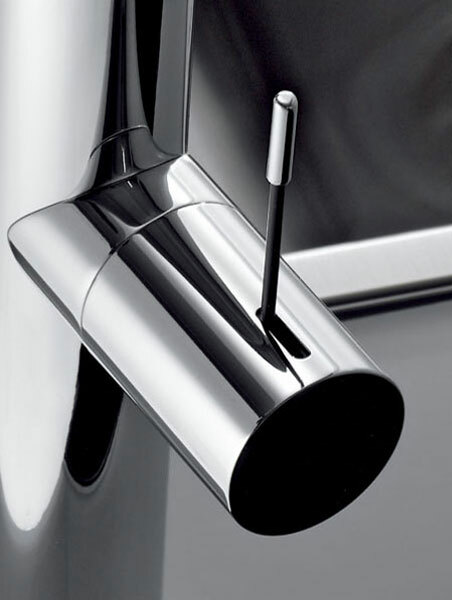 With the Rettangolo it would sit with many of the new styled square stainless steel sink tops now available on the market today, It comes as either a chrome or brushed steel finish and requires a 2.0bar pressure for best performance. It will fit onto a 40mm worktop and requires a 35mm diameter hole. 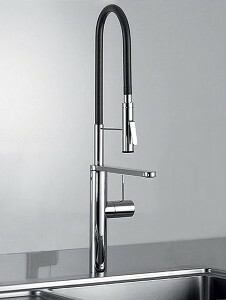 RRP Chrome £321.00 and Brushed Steel £394.00.